Pricing shown above is the total cost for the whole travelling group (NOT individual pricing). Note: The price will automatically change according to the different options you select below. Return private charter flights to King Island. Accommodation - towels and bedding supplied (not applicable for single day trips). 7 seat 4WD vehicle Nissan Patrol. (extra 4WD’s available for larger groups at extra cost). Island & surf map, plus surf forecast advice on where to surf during your trip. Some basic fishing gear, dive gear & spare surfboards (incase) at the cottage. Our pricing is based on chartering the entire aircraft & pilot as a private flight - therefore the cost does NOT change whether there is 1 or 7 people in the group. The more mates you get onboard the cheaper it becomes! So your trip will go a little somethin' like this... You'll meet us hopefully on time at the airport. Before departing we'll discuss the surf forecast for your trip and give you a few handy pointers, weigh your gear, load the plane, crack a beer / sip a latte, and our pilot will do their best impersonation of a Emirates flight attendant delivering the pre-flight safety briefing before we fire-up the jets. We'll fly over the island, checkout a few surf spots along the way by air before landing. It's here you'll pick up "The Beast" (4WD) and we say, "Adiós Amigos! We'll be back to pick you up whenever." At this moment you realise you're on your own... after a group hug you get the surf map out and V-line it to that cracking right-hander bank your spotted 5 minutes earlier by air. Oh yes, your accomodation. The cottage will be open and ready for you when you arrive - if you ever manage to get the 4WD out after getting it bogged. Make yourself at home, all bedding and bath towels are provided. Ana (your host who lives on the farm next door) is available also to cater lunch and dinners at your request, otherwise you can pick up food from the supermarket. "Green" colour indicates we are currently booked for this date. Save $300 and receive an extra night FREE accommodation when booking our Empty-leg Saver Deal. BOOM! Once you have selected the travel options above and hit the "Book it" button you will be promoted to fill out a form where you add the names of the travellers, dates/times, etc, etc, before making final payment through our secure online pay-way. When payment is processed we will send a confirmation email straight after your order has been received by us. Or we will call you if you've somehow managed to bugger up our simplest of booking systems. Expect to receive an email from us within a day or 2 which includes your full itinerary attached - read this as there is some useful tips and important information for your up-coming trip. Your have selected the 7 seater plane which is the Piper Chieftain Aircraft. The following are important points to note when flying onboard this plane specifically. Total plane weight capacity is 750KG (This includes passengers and their luggage combined). When travelling with 7 People "generally" maximum boards it can fit is 10-12 short surfboards no longer than 7ft. The less people the more boards we can take, also we can take longer boards up to 8ft by taking out one seat. We fly during daylight hours only. This plane is a twin engine plane, therefore it's extremely reliable to fly in "nearly" all weather conditions. In the rare case we can't fly this plane we may offer an alternative departure date or time, an route, or refund you. 4WD has a $3000 excess for damage. See our hire car T&C's here. We recommend you get domestic travel insurance which includes hire car excess - it's super cheap and worth it on a place like King Island. Easy! Bookings can be made online by selecting one of the travel options above, or you're welcome to contact us directly. At the end of the online booking process you will be asked to make payment by entering your Credit Card details via our secure Stripe® payment gateway. 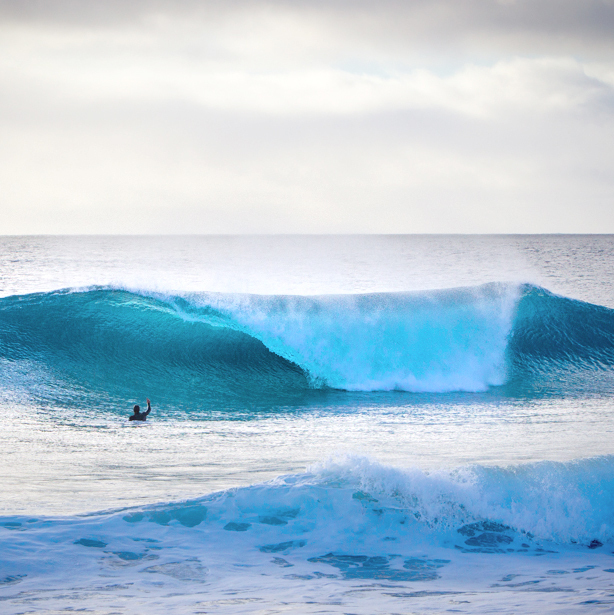 That's it... You're on your way to getting shacked at King Island. Next we will contact you and send your itinerary, while you count down the days and watch the weather maps. I just want to lock-in a specific date and pay later? We require a 10% deposit to hold any dates for you with full payment made 5 days prior to departure date.Please email us if you’d like this option. Just by thinking of this makes you a genuinely a great person, and your friend/lover will love you forever. YES, we do gift cards - actually they are very popular. We can do gift cards for the full amount or any amount you wish. To purchase Gift Cards and for more information click here. Why can't I purchase a "single seat" on the plane like other airlines? As we are a private charter flight company, our pricing is based on chartering the "entire" aircraft & pilot as a private flight. Australian Aviation Laws prohibit "charter" airline companies from selling "individual seats". Instead Charter flight companies are require to book/sell the flight as a whole/entirety. What's included in the package price? How much notice do I need to book in advance? Providing we are not currently booked, we can take a booking as little as 1 day in advance. However, our pilots do live other lives and we can not guarantee they will be available on such short notice. So it is best to give us and our pilots at least a few days notice. For any bookings staying overnight please check our accomodation availability in the calendar below or here. To view our full terms and conditions click on this link.